With a week off from racing, my third week in Belgium was more about playing tourist than serious training. 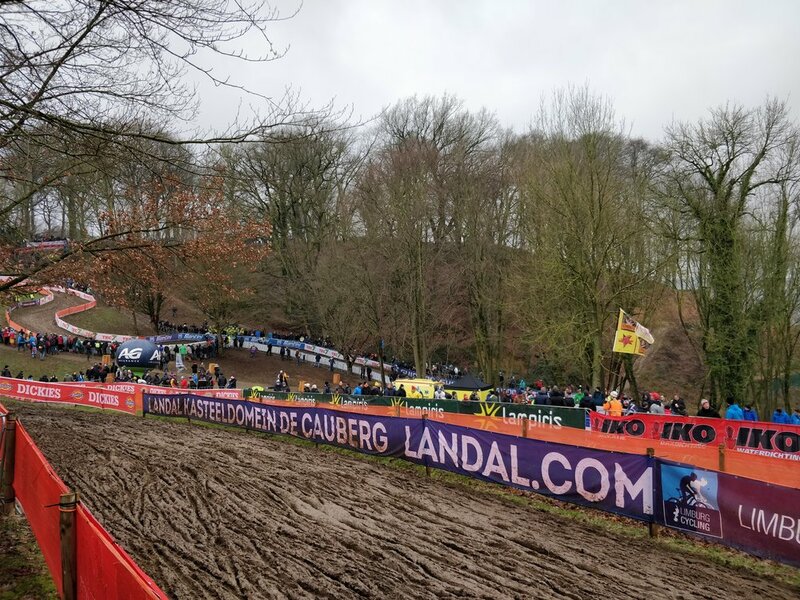 While it wasn't a week off, there was more time made to see the sights and take in what West Belgium and the World Championships in Valkenburg had to offer. 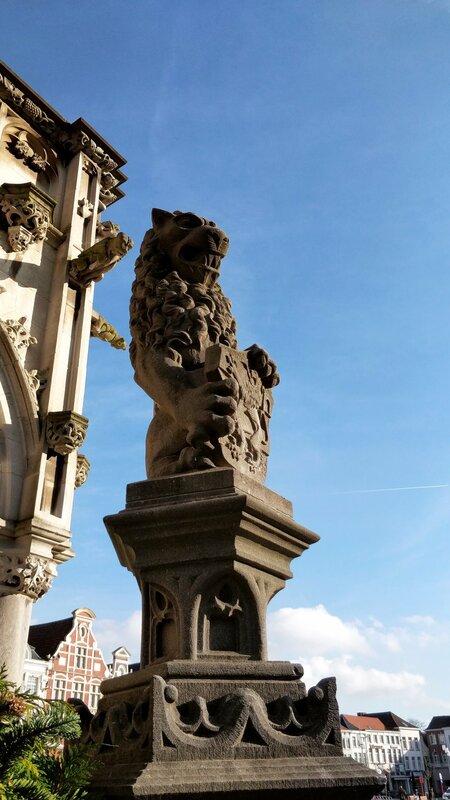 Here is Week Three of the Belgian Diaries. With two World Cups in the bag, Monday was a day to mentally and physically reset. Bikes washed and laundry done, I got to play tourist on Tuesday. 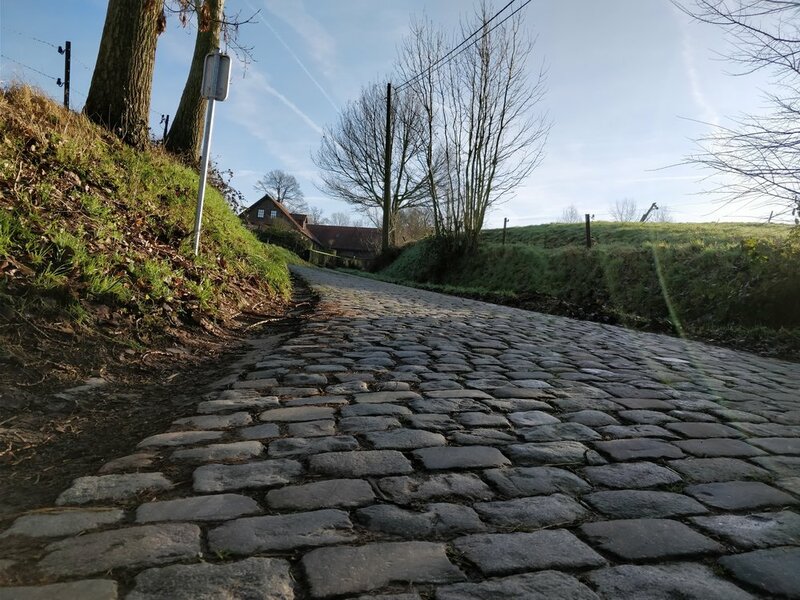 The sun made a rare appearance, which was even better, and I headed out in the Flemish Ardennes to check out the famed cobbled climbs. 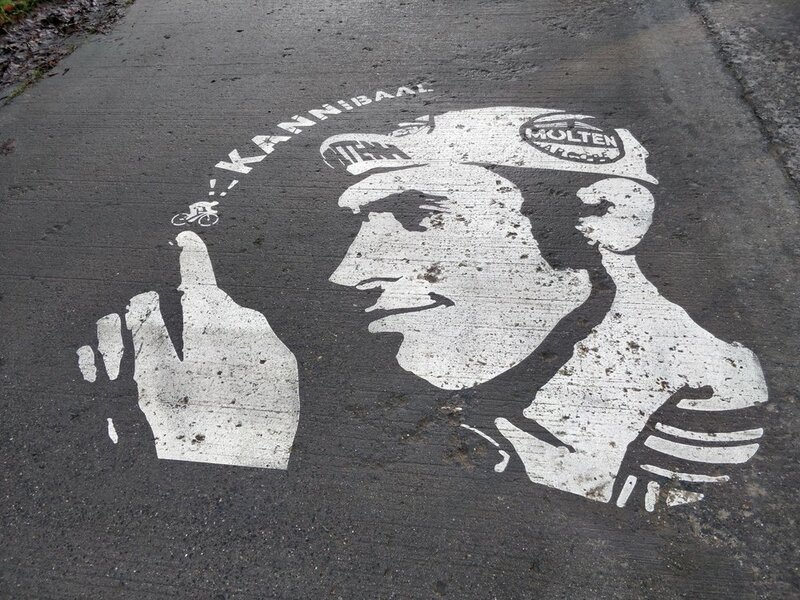 The Spring Classics are monuments in the cycling world. They are usually long races covering close to 120 miles, along with some cobbled roads of the Old World (i.e. Europe). The Tour of Flanders covers many bergs, or hills, from Antwerp to the finish line in Oudenaarde. 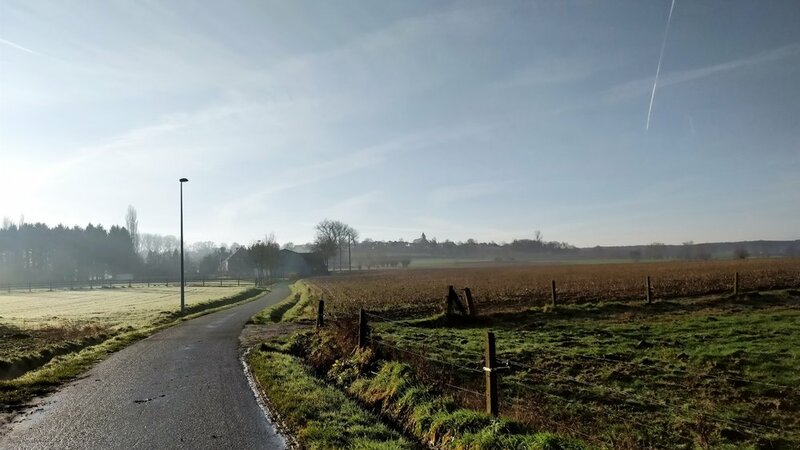 The most notable are the Oude Kwaremont, the Paterberg, and the Koppenberg, all of which are 15 minutes from the house. Riding the famed climbs was something to tick off the bucket list, but also awe inspiring. I now know why so many riders seek out the smooth gutter over the cobbles. Being bounced around by stones from ancient times is as fun as it gets. At least for some. Touristing done, I had a couple of more days of more focused training. Fortunately for me, the famed Belgian weather of cold, gray skies brought lots of rain. If there is one thing that I've learned in my short time here, it's that you will become an expert in bike cleaning. 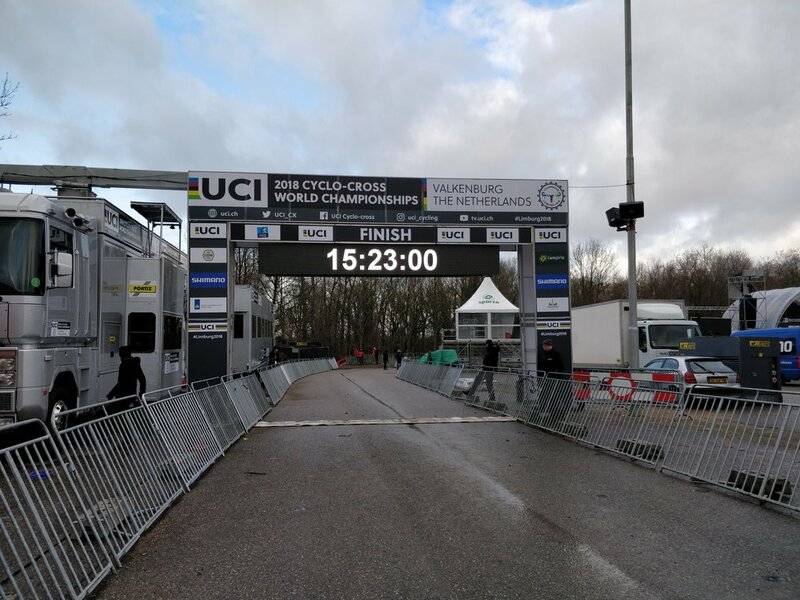 With mud in my teeth and semi-clean bikes, I hopped in the car with my friends to drive to the World Championships in The Netherlands. It was a short drive (2 hours) from Oudenaarde to Valkenburg, complete with a stop for snacks and gas station coffee. 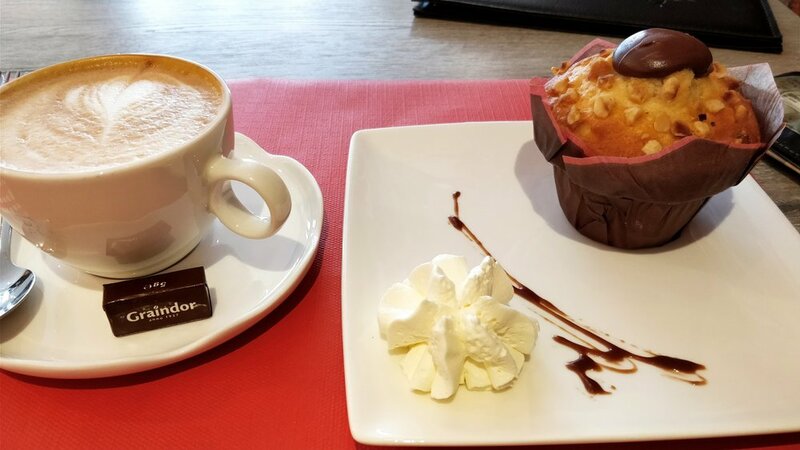 Before you scoff or gasp at this - I did at first - I've come to learn that most gas stations here in Europe has some kind of Illy Espresso machine that. So I won't knock gas station coffee... at least here in Belgium. The weather in The Netherlands wasn't that much better and the cold gray skies hung low over the Cauberg. Those more familiar with road cycling will recognize the Cauberg climb as the finish of the Amstel Gold Race (yes, the beer company!) and the final of the 2012 World Championships. The course at Valkenburg is held at the casino right at the top of the hill. Being able to ride up the climb meant I got to ride four of cycling's famed Classics' climbs in one week. Another cycling bucket list item checked off. Rolling with Rebecca and our Australian friend Ben Walkerden, we hopped on course for a few laps of the Worlds course. Man. That. Was. Hard. Having already gotten my workout done in the morning, I was keeping it chill during the pre-ride laps. That was easier said than done. Rain throughout the week made the course heavy and greased with mud. The opening part of the lap had a few drops which were already rutted, and the off cambers and steep downhills weren't much better. Trying to keep myself at a casual pace was difficult. On the one hand, I was really excited to ride the course that the world's best would be tackling on Saturday and Sunday. On the other, the course was so hard my heart rate was continuously creeping over where I wanted it to be. On Friday and Saturday, I got to do some more exploring. 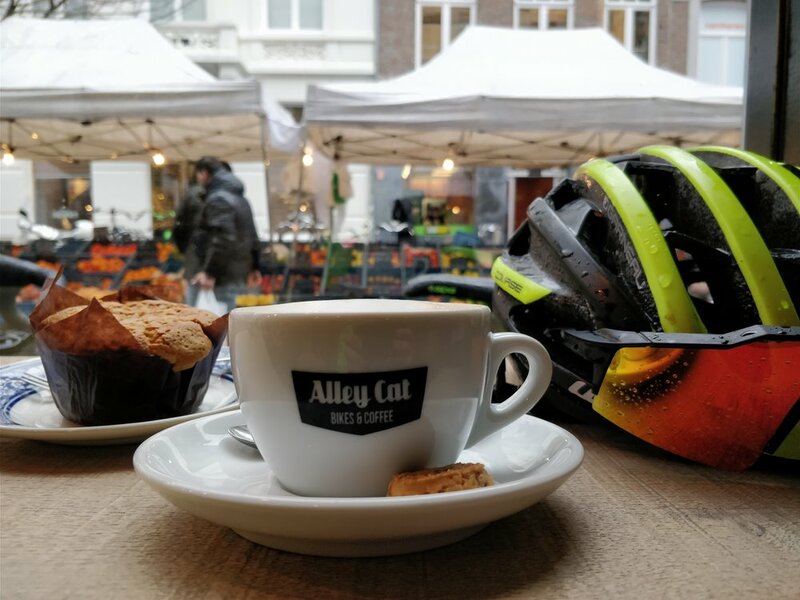 Riding through the hills of the Limburg province, I rolled to Maastricht for some much needed coffee and a muffin at Alley Cat Bikes & Coffee. The shop was super cool, part bike shop, part coffee shop, and located in the heart of Maastricht. I didn't stay long, as rain was still falling as fast as the temperatures. 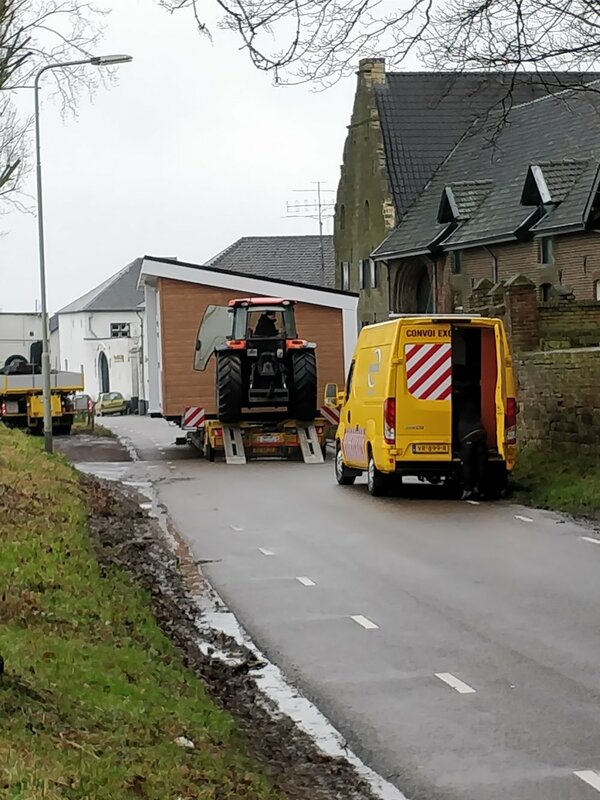 Riding home over the Bemelerberg, another climb in the Amstel Gold Race, I got the blood moving enough to survive the long downhill run back into Gulpen. Saturday, I went east and rode across the border to Germany. While I didn't quite have time to make it to another cafe in Aachen, I at least could read signs much better than I can in the Netherlands and Belgium! A small victory, but a victory nonetheless. Back at the AirBNB it was time to get cleaned up and head off to day one of the World Championships. Saturday's events were the Junior Men, the U23 Women, and the Elite Women. Being on the outside of the tape was a fun experience. With an estimated 12,000 people spectating, there were a ton of people all around the course. Walking between different vantage points, I managed to find some friends from America in Scot & Julie Herrman. It was nice spending some time cheering with some familiar faces and made for an awesome afternoon. Between the tape, the women put on an amazing show! From Britain's dominance in the Junior and U23 categories, to the battle of the season between defending champion Sanne Cant of Belgium and American Katie Compton, my first day at the World Championships was one to remember. On Sunday it was the men's turn and an estimated 25,000 packed the hillside to take in the show. The U23 Men started the day with another good race. While the matchup between rising British star, Tom Pidcock, and Belgian elite Eli Iserbyt never materialized, watching the young guys fly around the track was something to behold. As Scot said, their frontal lobe is not quite developed yet, hence the break-neck speed with which the tackle the course. The young men's race finished at noon and we had a short three hours to kill. Becca and I meandered back to the team area where our car was parked to load bikes in the car and say hi to a few of the US Team. With nothing much else to do, we meandered back into town where we indulged in pannenkoeken and coffee. 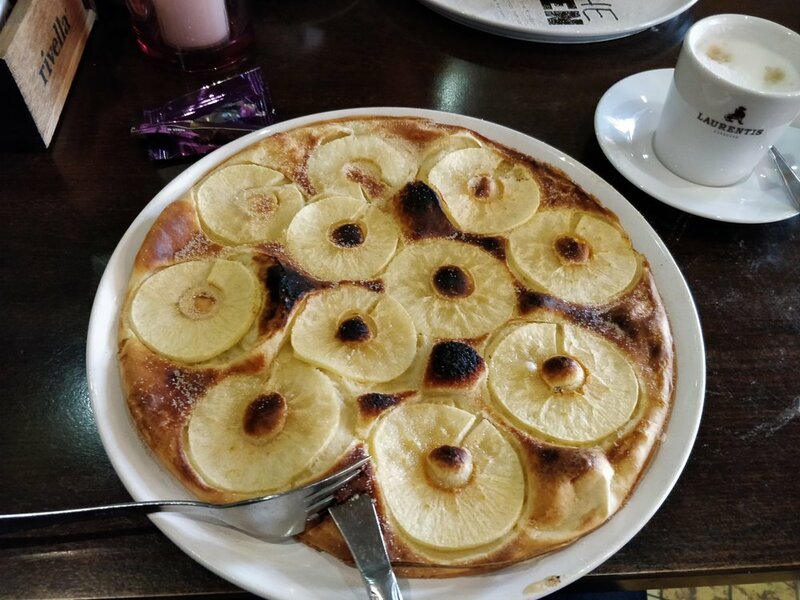 Pannenkoeken are just Dutch pancakes, but I had been moaning about how "I needed to have one" so Becca was nice enough to acquiesce to my tantrum. With second lunch done and dusted, we headed back up the hill to watch the final race of the weekend. All year, Mathieu Van der Poel of The Netherlands has been dominating. Short of one or two races, he's won every event he has entered. But, if there is one blemish on his long palmares, it's his drought in the World Championship to his Belgian rival Wout Van Aert. I don't have the space here to delve into their differences and what makes each of them great, but Wout has gotten the better of Mathieu the past two years. 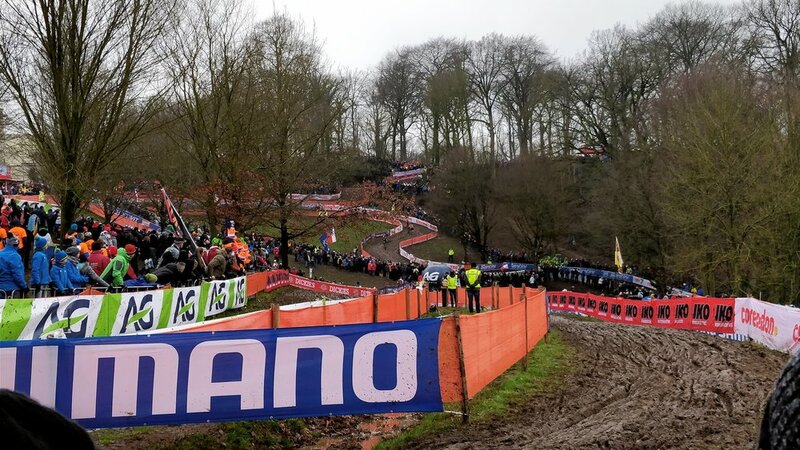 The final race was to be a battle and many of the local Dutch fans were hoping it would be the Van der Poel show as he solo'ed away from the field. The Belgians were hoping Wout had yet another spectacular performance. You could hear the elite men before you could see them as a roar from the crowd precipitated their arrival into view. The riders piloted their bikes around the track, running, riding, and balancing on their steeds like tight-rope walkers. In the end, it was Wout who came out victorious once again. It looks like we'll have to wait another 12 months to see another show down. Worlds done and dusted, we loaded up in the car and rolled back to Oudenaarde, chasing the sunset across Belgium. My first trip to the World Championships was pretty magical and something I will not forget. Maybe one day I'll be racing in them, but until then it was back to work with a full week of training and racing ahead.